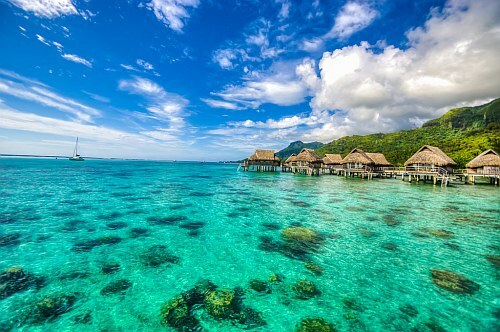 Air New Zealand is showing a few flights from Vancouver to Papeete, Tahiti for $990 CAD roundtrip including taxes. It's just rare to see a sub-$1000 roundtrip flight to Tahitii. The typical best roundtrip prices are generally closer to $1700. The flight on the way there is a long one, as it is a non-stop flight all the way to Auckland, New Zealand. The flight home is fast, as it routes through Los Angeles. How much does it cost for accommodations in Tahiti? Taking a look on Airbnb, the average price for 2 people ranges from $154 CAD/night (private room) to $195 CAD/night (entire place). But even for under $100 CAD/night (2 people), there seems to be quite a few places with excellent reviews. vancouver, yvr, flight deals, air new zealand, pacific islands, australasia, oceania, papeete, tahiti, french polynesia and ppt. 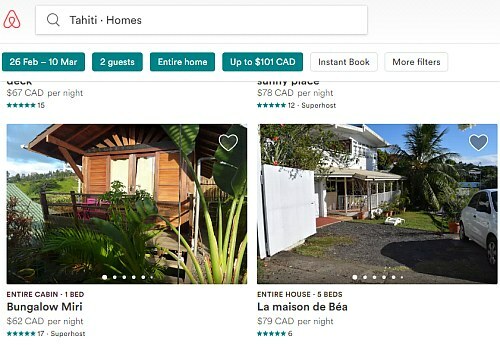 One Response to "Vancouver to Papeete, Tahiti - $990 CAD roundtrip including taxes"
Seems to be sold out, I can't find any flights even close to these prices.